A small, picturesque town located along the river Kitzbühler Ache in Austria, Kitzbühel has long been a favourite location among sports-loving tourists. A city home to competition and tradition, Kitzbühel’s inspiring atmosphere is also the perfect environment for a conference or event. With a range of exciting activities on offer after the event as well, Kitzbühel encourages creative thinking and new perspectives for all who visit. Boasting a town centre that dates back 700 years, Kitzbühel has long been a destination for people seeking to challenge themselves. Nestled below the Kitzbühel Alps, the city is home to internationally renowned events such as the Snow Polo World Cup and the Hahnenkamm Race, one of the most challenging downhill ski events in the world. When not blanketed in snow, Kitzbühel boasts four golf courses and has several picturesque hiking trails to explore. The city is also a striking destination in which to arrange a meeting or conference. 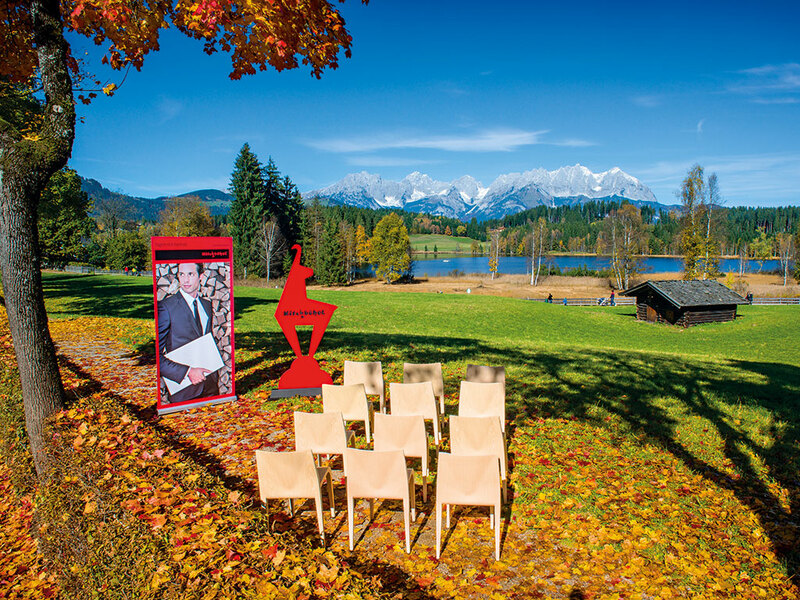 As a destination for MICE events, Kitzbühel excels thanks to its diverse atmosphere and infrastructure. More than 9,000 beds are available in the region, offering an outstanding range of accommodation options. The city also has all the amenities required for any conference or event. Whether it is a product launch or a medical congress, Kitzbühel has the space and events team necessary to arrange it. Event organisers looking to stage a conference have access to a wide range of spaces, of many different shapes and sizes. For larger events, K3 KitzKongress is the location of choice. This modern conference centre has all the amenities one would expect, which it offers with minimal impact to the environment. At the beginning of 2015, the centre received an Austrian national award in recognition of its environmental credentials, naming it a leader among the growing ‘green conference’ movement. Beyond its facilities, Kitzbühel also casts an inspiring atmosphere over guests looking for fresh energy and new enthusiasm in their work, with the spectacular Austrian landscape stretching out in every direction. In the town centre, exclusive boutiques and award-winning restaurants give visitors the perfect opportunity to recharge their batteries. The Alpine lifestyle that the region is so famous for is the perfect environment in which to encourage creative thinking, while relaxing. Even following a conference, there is much more of Kitzbühel to explore and experience. The variety of activities that Kitzbühel can offer for visitors following their MICE event is unparalleled: element3, Kitzbühel’s local incentive and event agency, can arrange a variety of activities to supplement any meeting or conference. Besides the obvious snow activities of skiing, snowboarding and tobogganing in the winter, more adventurous activities can also be arranged, such as ballooning, husky dogsledding adventures and ice climbing. For the warmer months, stand up-paddling, vintage car tours and maypole raising are just some of the activities on offer. All year round, guests can engage in tandem paragliding, embark on a gourmet food expedition or ride the stunningly scenic flying fox. These events can be tailored to the specific needs of groups of any size. Aside from the 77th Hahnenkamm Race and 15th Snow Polo World Cup, Kitzbühel will be playing host to a number of other spectacular events in 2017. One of the most beautiful classic car rallies in the world, the 30th Kitzbühel Alpine Rally, is taking place in June, while the 15th Kitzbühel Golf Festival will see the city host 11 tournaments in a week. A more historic event, the 93rd Annual Fair of the Kitzbühel Town Band, will see crows gathering in traditional Tirolean costumes in August. With an overwhelming variety of events and everything any conference organiser could hope for, Kitzbühel is a prime destination for any international conference or event.